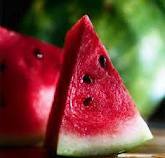 The real fruit taste of a sweet, ripe watermelon at its peak of flavor. It's true...this flavor is just one more WINNER! I had been using a different flavor of watermelon from a different online source. Well, no more! Alt has hit it right on! The first couple of vapes almost tasted soapy but after a bit of shaking it up the true flavors have come thru. To me this a nice "in-between" vape. If you need to knock some flavor off of the atty before switching to another all day vape it works perfectly to freshen the atty taste up as it is a better vape to jazz it up a notch but not so much an all day vape itself. I also wouldn't exactly catagorize it as a real watermelon taste as I would closer to a watermelon candy cane, like the kind I used to get as a kid with skee tickets at Chuck E. Cheese, which is good to me. I love this mixed with some tobacco. If you ever had the pleasure of the watermelon camel exotics they came out with a long time ago this is exactly like it!! Yet another amazing juice from altcig. I have never tasted such true flavors! I'm done trying other vendors...in which watermelon tasted like some funky lip gloss that my 7 year old uses lol. This watermelon is just perfect. I added a bit of juicy fruit and have found my perfect vape:) ty altcig once again! I'm really shocked at this flavor. I was expecting a very faint watermelon flavor with a perfume aftertaste like I got from other vendors, but BLAMO.. this is a very rich, deep and true watermelon flavor that packs a punch! The quality I find in all of AltCig's e-liquids is astounding. My quest for an extremely enjoyable watermelon vape is finally over... I've found THE ONE!! Thanks Sunny, Hans & Bob.. you guys never cease to amaze me. Your tastebuds deserve a gold medal LOL! Thanks a million! With the summer months I wanted something a little lighter in my flavor arsenal and here it is! It's sweet, juicy and delicious. This is another winner from Altcig. I foresee this being a vape staple for the coming lazy days of summer, lounging by the pool with PV in hand with plumes of watermelon vapor rising into the sky. Wow!!! I gotta say this is the best e-liquid I ever had. I ordered the 6ml Summer Watermelon and once I vaped it I immediately knew I had to place another order in a bigger size and I did. Thanks AltCig.com!!! Wife : "Honey, I'm cutting some fresh watermelon , do you want some?" Me:, oh no, thanks, I got some fresh watermelon juice from Altcig and it's just as good :)" Seriously, this juice rocks, taste fresh, just the right sweetness and true fruity flavor. I know I pretty much loving all of Altcig juices but what can I do, they are just that good. No need for no sample bottle, order 30ml and rock it.